Over the past 20 years, Classic Garden Elements has worked successfully with leading real estate developers. When building projects near completion, it is our role to add that final touch of luxury and refinement. A stunning open-air pavilion offers perfect seclusion for a tête à tête. Mediterranean pergolas reminiscent of Amalfi and Portofino. 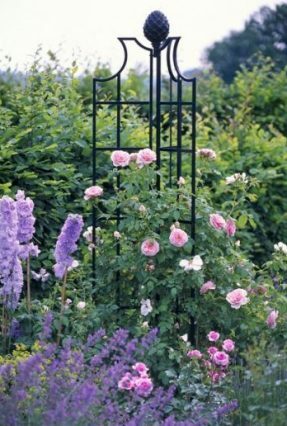 Rose-laden archways exuberant in colour and scent. Where a blissful couple strolls dreamily hand in hand. Romance. Style. Hype. Elegance. Exclusivity. Why not transform a plain wall into a work of art? 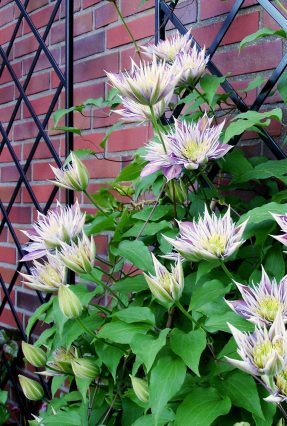 Check out our broad range of classic-modern Trellises for Walls and our extensive Portfolio. 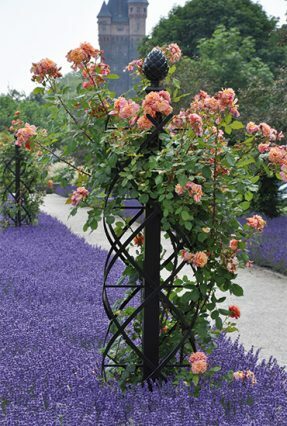 Our garden structures are made of hot-dip-galvanised and powder-coated steel. We also manufacture products in aluminium and stainless steel. All our structures are made to last. Have a look at how we operate. It was a pleasure to cooperate with Paris architects ‘3BIS’ in a project to install a traditional French treillage at a private residential palace residence in Qatar. If you prefer to call, please telephone between the hours of 9:00 a.m. and 5:00 p.m. Eastern Standard Time.